Movie hacking by internet users is not only infringing on the licensing rights of movie producers but also belittling the creativity of moviemakers. 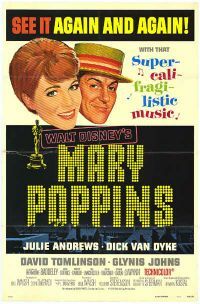 Taking a classic story like Mary Poppins or Jaws and changing the musical soundtrack or plot here and there does not entail much originality. In 2005, Robert Ryang, a New York film editor, converted The Shining from a horror film to a romantic comedy. In a stroke of cheerfulness, Jack Nicholson was turned from a psychopath into a loving family man. Mary Poppins was mashed-up into a scary movie by Chris Rule, a 21-year-old student. The loveable Julie Andrew snarled from the screen instead of smiling at her charges. The tag line reads “Hide your children!”. The novelty of these mashed-up movies may attract viewers initially, but the lack of substance will not sustain interest. As a result, the original movies will lose some of their originality and appeal. This entry was posted on Tuesday, January 30th, 2007 at 6:39 pm	and is filed under Movie Trailer. You can leave a response, or trackback from your own site.